However, getting through the loan process with the FHA is more difficult than with a traditional lender, and you may need to cope with some of these common loan hang-ups. You can’t buy just any property with a FHA loan. The appraiser must deem it to be livable, without any conditions that could jeopardize health or safety. If the home has chipping paint, a leaky roof, or a wobbly banister, the financing could fall through. Sometimes you can get the seller to make the needed repairs to pass inspection, but in other cases, you may have to go an alternate route. The FHA 203K streamline loan allows you to borrow up to $35,000 over the purchase price of the home for repairs and updates. It’s important to check with your local mortgage lender to determine any specific local FHA 203k loan details. In addition to inspecting the property, appraisers also estimate its market value. These estimates are based on the property’s features and a comparison to similar properties that have sold recently. 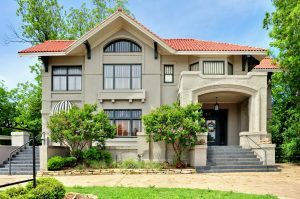 If the appraisal is low, the FHA loan funding could fall through because the FHA will not let you borrow more than the home’s appraised value. Rather than trying to scrape together a bigger down payment, just take the information to the seller to renegotiate the purchase price. The seller will likely recognize that other buyers would be in the same boat, leading the seller to agree to a lower purchase price. Your FHA loan may encounter a snag in the underwriting process if your total debt payments, including your new mortgage, would be a high percentage of your income. If you are in this situation, ask your lender to try running you through the automated underwriting program called TOTAL. The process is quick, and often you can make up for a high debt-to-income ratio with other compensating factors, like a larger down payment or a cash reserve of several months of mortgage payments. For more information on common FHA loan hang-ups feel free to contact your trusted mortgage professional today. 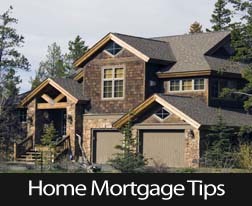 This entry was posted in Mortgage Tips and tagged Mortgage Tips,FHA Loans,Home Buyer Tips by BJ Kirkpatrick. Bookmark the permalink.